The NordicTrack ski machine is built to imitate the motions your body goes through when cross-country skiing, an exercise widely considered the best cardiovascular workout available. Like any imitation, the NordicTrack doesn't provide a perfect recreation of cross-country. Whether or not it's a good workout depends on your own goals, abilities and limitations. There are many models of NordicTrack ski machines, but they all work on the same basic concept. You place your feet on platforms which slide back and forth on rails. Moving hand grips provide both balance and a workout for your upper body as you move. In most models, you can adjust the resistance of both the rails and arm grips to increase the intensity of your workout. Cardiovascular exercise burns calories better than resistance training, reports Oregon-based fitness coach Ben Cohn. 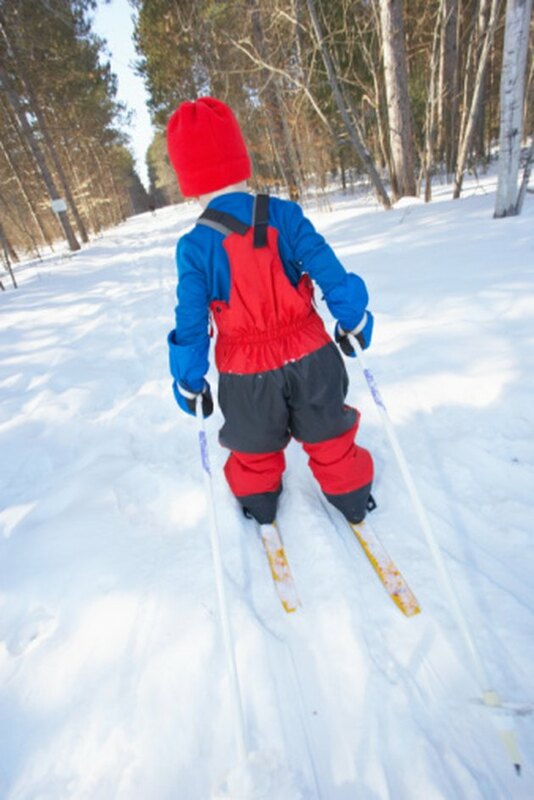 Since cross-country skiing is a powerful cardiovascular exercise, it burns many calories. A 155-pound person on a ski machine can expect to burn about 500 calories per hour. Because heavier people burn more calories in most activities, a 205-pound person would burn 650 calories in the same workout while a 130-pound person would burn 410. The NordicTrack doesn't provide the heavy resistance of free weights or a Universal gym, and thus is not the best choice for building large and strong muscles. However, the resistance of the arm and leg motions will strengthen and tone the muscles of your body from head to toe. The NordicTrack ski machine is a unitasker, says Cohn. Unlike other comparably priced exercise products, your exercise options are limited to skiing faster or skiing slower. For those who perfer variety in their workouts, this is a disadvantage of NordicTrack ski machines. NordicTrack ski machines lack the heavy moving parts that make weight machines and home gyms more hazardous. This means they are safer than many other home exercise products. However, Cohn warns that the foot clips on a NordicTrack make them slightly more hazardous than treadmills if you lose your balance or become dizzy during a workout. Whether or not the NordicTrack ski machine is a good workout is a matter of your goals. If you want a strong cardio burn, it's one of the best available. If you're looking to pump up, or for a varying circuit workout, there are better options.